A bad hair day invokes exasperation and ruins your day. We are pretty much aware with the struggle of styling brittle, dry hair. Bad hair takes your confidence away every day of the week. You can add life to your dead, wrecked hair by avoiding hair dryers and cruel hair treatments like bleaching and colouring. You need to follow these inexpensive, easy, and quick home remedies to tame your unmanageable dry and rough hair. You can treat your frizzy, dry hair with this terrific mask. Take 3 egg whites, 2tbsp olive oil, and one tsp. apple cider vinegar. Combine the ingredients and massage this mixture into your damaged, dry hair. Wear and shower cap or plastic wrap to cover your hair. After 30 minutes, rinse your hair with water and then shampoo. You will see the amazing result just after the first application. Banana is energy and nutrient-packed fruit which gives life to your dry hair. It fights fizziness, reduces dryness, and does a wonderful conditioning of your hair. This banana hair mask will nourish your way just in a few days. Take 1 ripe banana 2 tbsp. olive oil, and one tbsp. honey. Blend all these ingredients in a blender and apply this mixture to your hair. 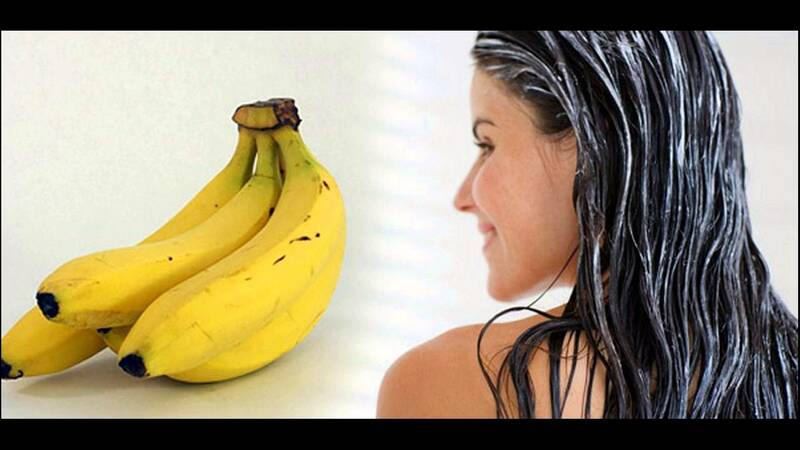 20 – 30 min of banana magic hair mask on your locks and ta-da! Say goodbye to bad hair days just in a week. Take 1 tsp. of vitamin E oil and 5 tsp. of sweet almond oil. Slightly heat this mix, and using your fingertips, gently massage it on your scalp. You can also apply this on your split ends. Cover your hair with shower cap and leave it for 30 mins. Then shampoo your hair. This warm oil massage will not only hydrate your dry hair but will also make your hair frizz free and nourished. You can also take warm massage of other oils for better nourishment like olive oil, coconut oil, argan oil, burdock root oil, or jojoba oil. Butter will add shine and gloss to your brittle hair. Take a small amount of melted butter into your dry hair. Cover it with the shower cap and wait for 30 min and rinse with shampoo. Hot water shower is not good for hair. It scalds your hair and damages our already frizzy hair. Cold water shower on the other hand increases and enhances hair growth. So after you take a shower, rinse your hair with cold water. It will revitalize your strands and refreshes your scalp.